In this GoodLife WordPress theme review, we’re going to be taking a closer look at this newly released WordPress theme. It’s a theme that has been created especially to help you make your magazine or news website a success. Thanks to the growing number of prebuilt demo modes included in the GoodLife package, no matter what the topic of magazine or news website, you should be able to find a style to match. 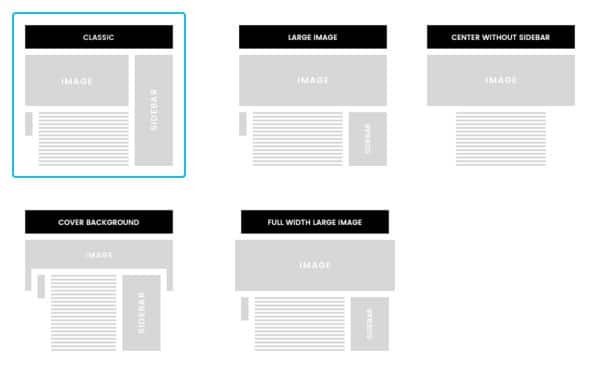 And if not, you’ll find an integrated premium drag and drop page builder to help you customize any of the existing templates or create your own from scratch – with no coding required. There’s also a stylish blog mode included too, so if you are planning a more traditional blog-style website, GoodLife is also well worth considering. 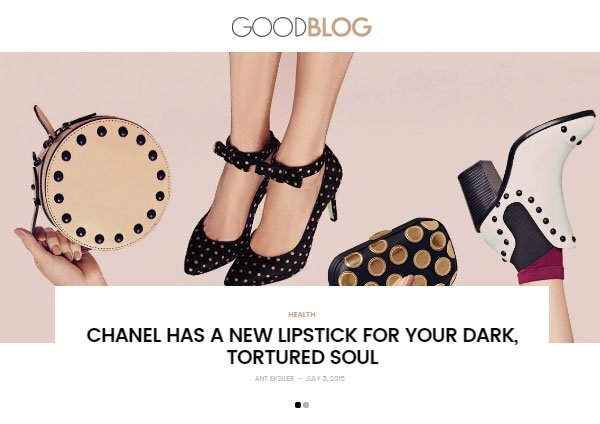 There’s also a stylish blog mode included too, so if you are planning a more traditional blog-style website, GoodLife is also well worth considering. 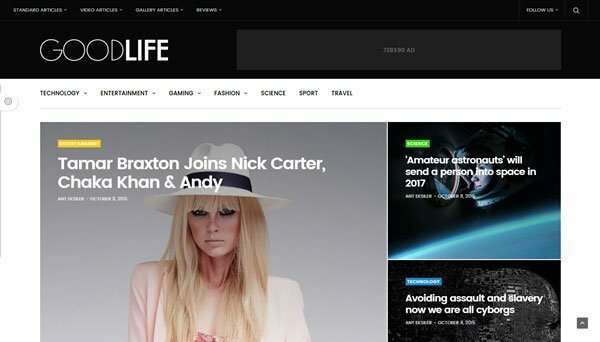 By combing a modern look and design with a great set of features, GoodLife aims to be WordPress theme that can help you elevate your magazine website in 2016. 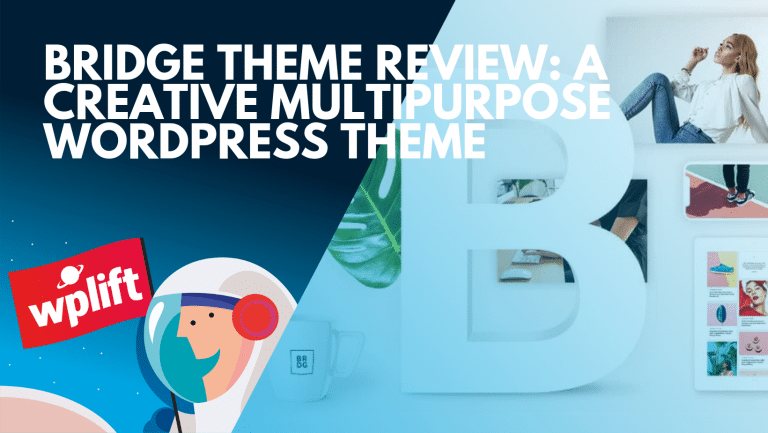 So let’s see exactly what’s on offer in our GoodLife WordPress theme review. The main highlight of the GoodLife magazine theme is the aforementioned library of demo versions. These prebuilt demo modes can be applied to your WordPress website in just a few clicks and transform the entire look and feel of your site. At the time of writing, there is seven demos to choose from, although you can expect this number to grow over time. 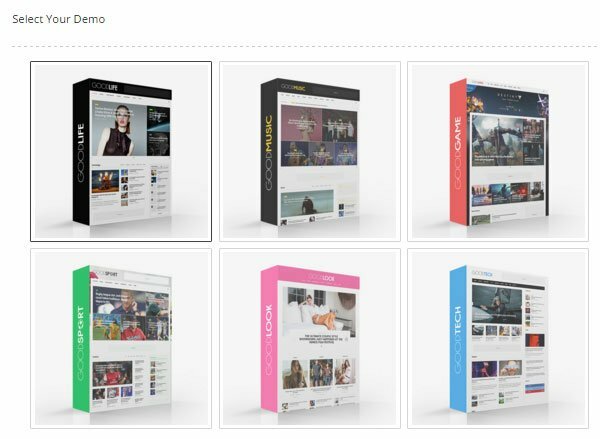 Currently, the list of topics the demo sites have been created to cover includes lifestyle websites, tech sites, sports blogs, gamer websites, feminine sites, music blogs, and a more traditional blog style design. 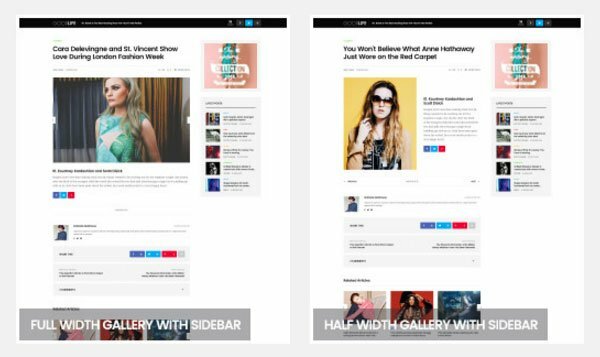 Thanks to the responsive full-screen slideshows on offer, you can easily display a selection of your best content on the homepage of your website. Your readers can then swipe their way through the articles until they find one that catches their eye. Another tool that makes it easy for your visitors to view your articles in one location is the posts carousel feature. Through the carousel, your visitors can click or swipe their way through the list of posts, before clicking on one to read the full article. As it’s highly likely that your magazine or news website will feature a lot of content, it’s good to see that a mega menu is available. These upgraded menus make it easier for your visitors to find the content they are looking for, thanks to the multilevel dropdown menus you can add to your site. With the Mega Menus of the GoodLife theme, you can add a wide range of media to the drop down menus. 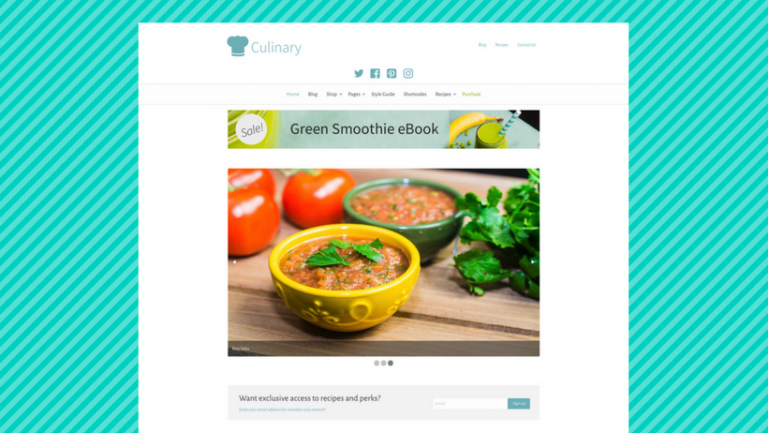 This includes images and videos, making your menus more than just a simple collection of text links. Just as print magazines and newspapers make use of a variety of layouts for their articles, you can too with the GoodLife theme. With five article page templates on offer at the time of writing, you can easily apply the right layout to your content. One of the premium WordPress plugins included in the GoodLife theme package is the ever-popular Visual Composer drag and drop page builder tool. Visual Composer makes it easy to create custom layouts for your posts and pages, all without the need to write any code. Visual Composer includes a large number of useful elements that can be inserted into your layouts, including many features that you would otherwise have to purchase another plugin to gain access to. As well as being able to create your own page layouts from scratch, you can also use this tool to customize any of the include templates, opening up a whole world of possibilities for your site. To help your website make the most of the different screen sizes it will be viewed on, the GoodLife WordPress magazine theme will automatically resize and reshape the images you add to your website to fill as much of the screen as possible. Although the GoodLife WordPress theme is a newly released product, it’s already been updated with more features and demo versions added to the collection. Therefore, it’s safe to assume as this theme matures, more and more features and elements will be added. So far, the feature list looks great and if you’ve checked out any of the demo versions, you’ll probably agree that they look great too. However, for a website owner, what goes on in the background is probably the most important element to consider when choosing a theme. 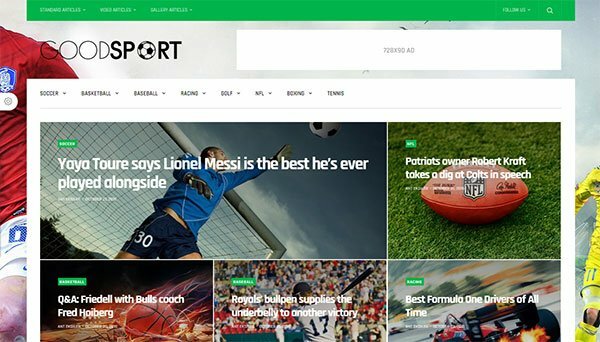 So, let’s take a quick look at how easy (or difficult) the GoodLife theme is to use to build a news or magazine WordPress website. The process for installing the theme is no different to that of a regular WordPress theme. 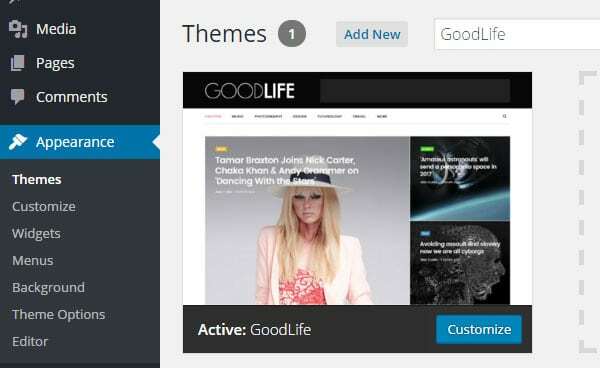 Simply upload the theme files to your website, either through the WordPress dashboard or via FTP, and then you can activate GoodLife from the Themes section of your admin area. If you are working on a new website, after activating the theme, you can head over to the Theme Options control panel and import one of the demo versions. You can import the demo versions on an existing WordPress website, although it could cause problems with your existing content, so proceed with caution. If you run into any problems, there’s some basic information as part of the theme’s online documentation that can help you resolve any issues. Whether you decide to import the demo content or not, you can customize your website in many different ways. Through the theme options control panel, you can modify the general appearance of the theme, such as switching between a boxed or full-width layout. You can also choose which one of the three header styles you want to use, as well as how you want it to be styled. Other settings govern the footer display, ad panel content, colors, typography, and much more. When it comes to setting up your site widgets and menus, this can take place through the backend interface of the WordPress dashboard, or through the front-end interface of the WordPress Customizer. 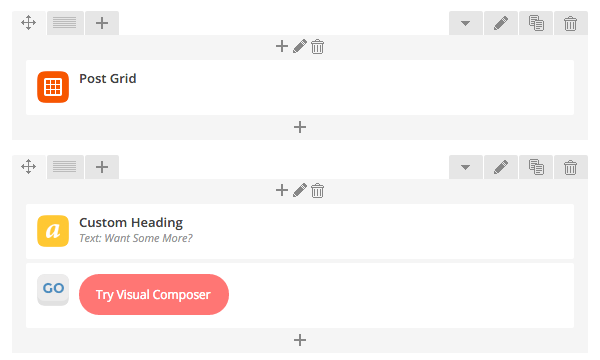 If at any point you wish to fire up the Visual Composer page builder plugin, simply open an existing post or page, or create a new one, and then switch to the Visual Composer view. With so many great WordPress themes to choose from today, it’s becoming increasingly difficult to make a decision. One criterion you can use when evaluating a potential new theme for your website is to research who it was created by. Some questions to ask yourself include have they created a WordPress theme before? How long have then been working with WordPress? How well have any previous products been received? Thankfully, the ThemeForest marketplace – where the GoodLife theme can be purchased – makes it easy to find out this information. Judging by the author profile of Fuel Themes, the creator of GoodLife, it’s clear to see that this is one author who is well experienced in the world of WordPress and its themes. Fuel Themes currently has eight WordPress themes for sale, each of which has recorded a respectable number of sales, with positive user ratings. They’ve also been awarded Elite Author status at the ThemeForest marketplace and been an active member for over seven years. Overall, if you like the look of the GoodLife magazine theme, you should have no reservations about its author. As mentioned, the GoodLife theme can be purchased from the ThemeForest marketplace. For $49 you get access to the theme, including $114 worth of premium plugins, and 6 months of support from the author. You can extend the support period to 12 months by paying an extra $14.70. Both purchase prices include lifetime access to theme updates. GoodLife and its many demo versions offer a great set of features, combined with a modern and stylish design. The fact that you also get access to some top quality premium plugins in the package helps make this theme even more attractive. If one of the prebuilt build demo versions matches your vision, or you want to get creative with the integrated page builder tool, then choosing GoodLife should be a good decision for your website.